Matter Makers is the new streetwear brand under the concept of ‘exCOOLsive’. The word has been creatively made up by combining two descriptive words which are Exclusive and Cool to form a new word that reflects Gen ME’s personality and lifestyle - ‘Exclusively Cool’. Matter Makers’ designs are not only modern and original but also own a unique attitude. The designs are under the creative direction of Romrujee Pansin. 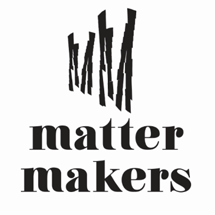 Matter Makers aims at ‘Gen ME’ - not only teenagers but all social media junkies of every age who embrace the sense of self importance and social responsibility. For them, every issue is of concern: music, art, fashion, society, politics, gender, etc. Also, social media is not just for convenience but it is a great medium for learning and marking their opinions to help push the world forward. To adapt to the fast pace of digital world and the lifestyle of Gen ME who are open-minded and do not stick to anything for long, the collection will be released and offered faster as Seasonless, instead of following the common fashion calendar. The first collection, taken inspirations from Okinawa’s rich, interesting, and unique history, will be debut on November 2016. Matter Makers’ flagship store is located at Siam Center, 1st floor - Gen ME’s hangout place. As Gen ME’s lifestyle is rapidly changing, the interior design including visual merchandising are set to adjust to the directions of the designs and trends.